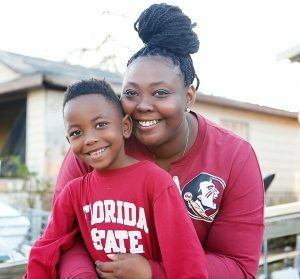 When we met Celissia and her son Cameron, their lives had just collided with the unimaginable destruction that was Hurricane Michael. 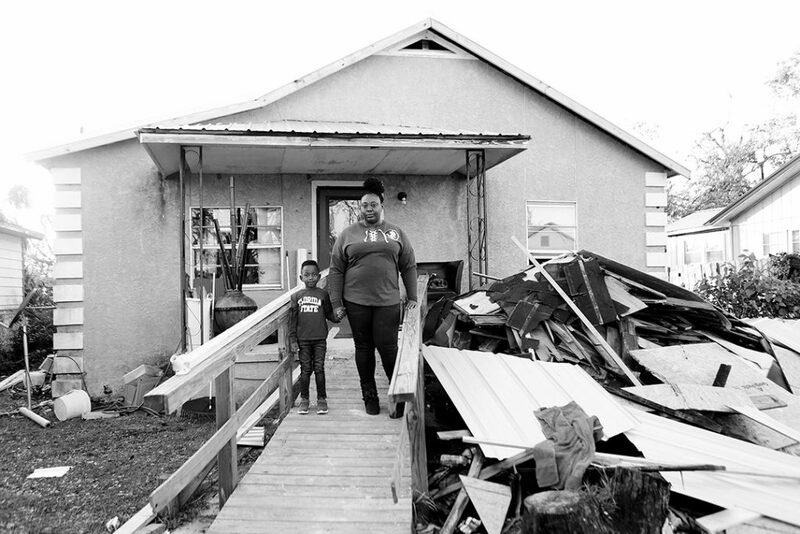 Nearly a Category 5 storm at landfall, it barreled its way into their home on October 10th and turned their lives upside down and inside out. With no means to evacuate, they were forced to hunker down at home. For Celissia, this wasn’t just a house. It was her childhood home – the same home her aunt had passed down to her – filled with memories, love, and her family’s past and future. Celissia led us through their experience – how she and Cameron rode out the 155 mph winds and rain, how they felt their family home buckling beneath the force, how the roof was ripped from over their heads. They were helpless and exposed to Michael’s vicious wrath. She described how they fled and took cover in a neighbor’s home, only to have that roof taken as well. With their neighbors, they escaped to another nearby home that managed to wrestle its roof from the hurricane’s powerful grip. There, they huddled together until the storm subsided, unsure of what would be left next door. 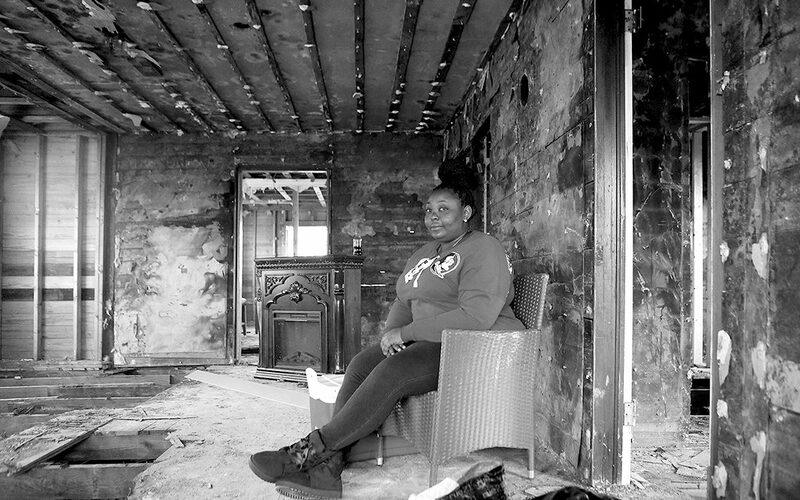 Celissia later found her home destroyed and unlivable. Battered and stripped of a roof, it left everything they owned wet and vulnerable to mold. Adding to the stress of losing their memory-filled family home, they were relocated first to a Destin hotel, and then to a home in Watercolor (thanks to a generous donation from one of 360 Blue’s Property Owners), and have been commuting more than 50 miles one way for school and work each day. With the support of volunteers and your donations, we have been able to speed up their road to recovery. We were able to gut their home and replace the damaged roof, appliances, and all flooring. Mold remediation has been completed, along with fresh drywall, painting, and cabinet installation. This Saturday, Channel 7 will be filming as Celissia, Cameron, and their resilient smiles return home and get back to making memories. Now that they are reclaiming their home, they can keep it in the family and continue to pass it down.